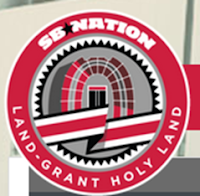 Neil Cornrich & NC Sports, LLC: Ohio State Football All Decade Team: Ted Ginn, Jr.
Ohio State Football All Decade Team: Ted Ginn, Jr.
A handful of Ohio State's return specialists from the 2000s have made their way into program record books, but one stands out as truly exceptional. Return specialists can make or break a game with their level of effectiveness. In our final installment of the 2000s All-Decade Team series, let's look at the return specialists from 2000-2009 who had the most impact for the Buckeyes. Clements was Ohio State's primary punt returner during his junior year at Ohio State, after which he declared for the draft. In that single year, he managed to secure a spot in Ohio State's record books, as well as establish himself as the punt return leader in the Big Ten that season. Clements returned 36 punts for 470 yards, averaging 13.1 yards per return, and scored one touchdown. Clements also returned one kickoff for 80 yards. Clements is fourth on the all-time single game punt return yards with 131 at Purdue in 2000. Clements is second on Ohio State's single season punt return yards list for his efforts in 2000. In 2000, Clements' punt return yards were the best in the Big Ten. Hall returned kicks throughout his Ohio State career, and he currently holds the top spot on Ohio State's all-time career kick return yards list with 1593 yards on 70 attempts. Hall also holds three spots in Ohio State's record books for the most kick return yards in a single season. His 2001 season total of 523 is the fifth-best in program history, his 487 return yards in 2004 are good for 9th on the list, and 434 kick return yards in 2002 place him at 14th on the list. Ginn made his mark at Ohio State returning kicks and punts, with 900 career punt return yards and six touchdowns on 64 attempts, and 1012 kick return yards and two touchdowns on 38 attempts. He appears twice on Ohio State's all-time punt return yards per game list--his 123 punt return yards against That Team Up North in 2004 are good for 7th, and he is tied for 8th with Ray Small with 110 punt return yards at Indiana in 2005. Ginn's 900 career punt return yards are good for second in school history, and he tops the list for most single season punt return touchdowns with four in 2004, and career punt return touchdowns with six. Ginn was no slouch as a kick returner either, as his 1012 career kick return yards are good for second in program history, and his two kick return touchdowns share the top spot in the Ohio State record books with Lenny Willis and Dean Sensanbaugher's. Small had a lot of impact as a return specialist at Ohio State, with 790 yards and one touchdown on 78 punt returns and 715 yards and one touchdown on 34 kick returns. Small comes in fifth and tied for eight for single game punt returns, with 130 at Penn State in 2009, and 110 against That Team Up North in 2008. His total career punt return yards place him fourth all-time for the Buckeyes. On kick returns, Small is 9th all-time for career yards with 715. He is tied for 8th for single season kick return yards per attempt with 27.0 in 2009, and he's tied for tenth for the longest kick returns in program history with a 96 yard return against Wisconsin in 2009. When you think of Ted Ginn, Jr., the first word that comes to mind may be "explosive." He set the bar high for his NCAA career as he established school and Big Ten – and at the time, NCAA – records with four punt return touchdowns in a single season during the 2004 season. Ginn is in Ohio State's record books for his punt return yards per attempt in three separate games during the 2004 season–an average of 36.0 yard per punt return against Wisconsin is good for second all-time, 35.5 yards per return against Michigan State places him third on the list, and Ginn's 30.8 yards per punt return against Michigan are good for sixth on the list. His 2004 yards per punt return average place him first in Ohio State's program history with an average of 25.6. Entering the 2005 season, many saw Ginn as a Heisman favorite. Ginn scored on a 100 yard kick return against Minnesota, and on a 62 yard punt return against Indiana, and had two other return scores negated due to penalties. His 532 total kick return yards in 2005 are good for fourth in school history, and his 29.6 yard average per attempt in 2005 lands him fifth in program history. In 2006, Ginn's efforts as a return specialist further secured his status as one of the best in Ohio State's history, and the very best of the 2000s. His 440 kickoff return yards on 18 returns place Ginn 13th on the all-time single season list. Perhaps the most memorable play of his career came in the early moments of the BCS Championship Game that season, when Ginn scored on a 96 yard return on the opening kickoff. Ginn's career punt return yards are good for third in the Big Ten since 2000, and his career yards per punt return, 14.1, top the NCAA during that timeframe. In 2004, Ginn's four punt return touchdowns were good for first in the Big Ten, and second in the NCAA. He remains first in Big Ten history with six career punt return touchdowns. As a return specialist for the Buckeyes, Ginn was dynamic and explosive. His record-setting, game-changing performances earned him this spot on the Land-Grant Holy Land 2000s "All-Decade Team".